The festive lay-off provides a host of challenges for the runner-intraining: navigate the mince pies and mulled wine and you’ve still got to find a way of convincing your family just how important that Sunday long run really is. Fortunately, our marathon hopefuls have come out the other side with fitness and relations intact. 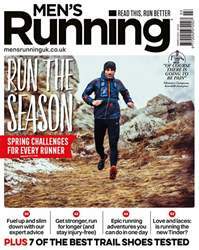 Now the real training can begin – and for Stephen, Derek, Ben and Neil that means building a solid base early in the year, for marathon success this spring.